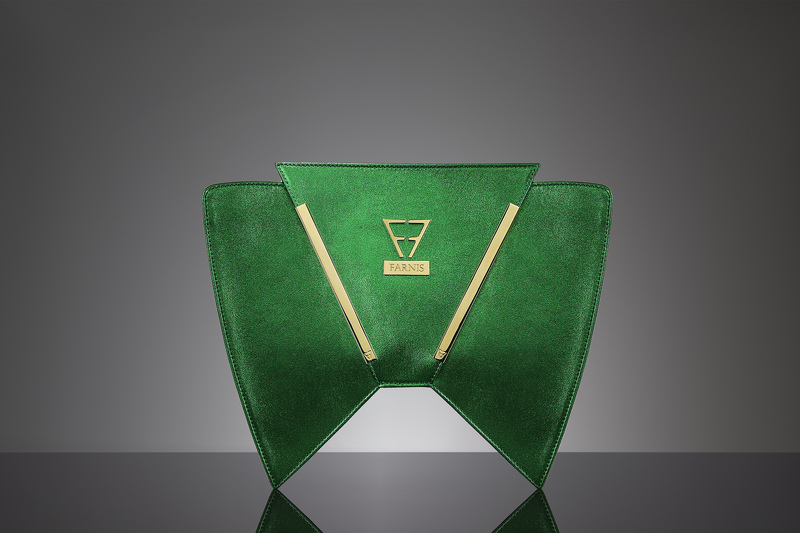 The two shiny protective edgings and the perfection of its symmetry complete the exquisite nature of the unmistakable GRETA design, an elegant clutch in sumptuous suede lambskin. This fascinating version in grass green reasserts its undeniable personality. It is a medium clutch with light structure and it is characterized by a symmetrical linear design. GRETA is extremely versatile and can be carried in your hand or worn on the shoulder, thanks to the removable chain strap. Its beautiful proportions and the shine of its extraordinary edgings are the finishing touch and signature of this provocative design.